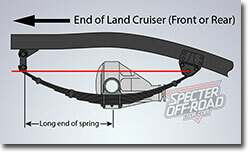 Specter Off-Road can now offer a Heavy Duty lifted set of Leaf Springs for your FJ45 Pickup. 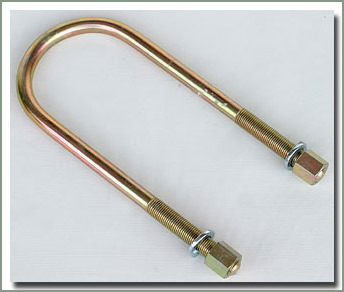 These FJ45 Heavy Duty Leaf Springs offer a 2 inch - 2 1/2 inch lift using stock shackles. 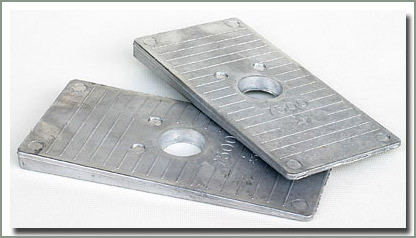 With the addition of extended shackles the lift can be as great as 4 inches. 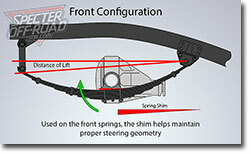 The front springs have 1 3/8 inch diameter bushing and large 3/8 inch center pins. 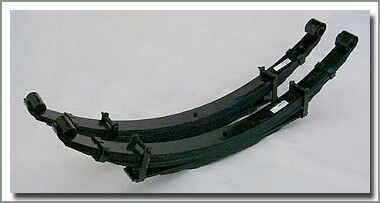 The front FJ45 Heavy Duty Leaf Springs feature six multi tapered leafs per stack. The rear FJ45 Heavy Duty Leaf Springs feature six multi-tapered leafs plus three bottom overload leafs per stack and has 1 1/8 inch diameter bushing and large 3/8 inch center pins. 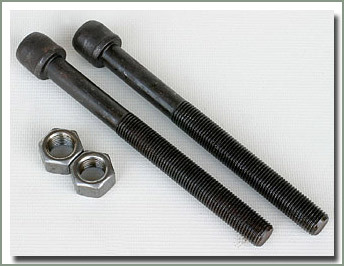 Rear springs require longer U-Bolts, see #287-34A. 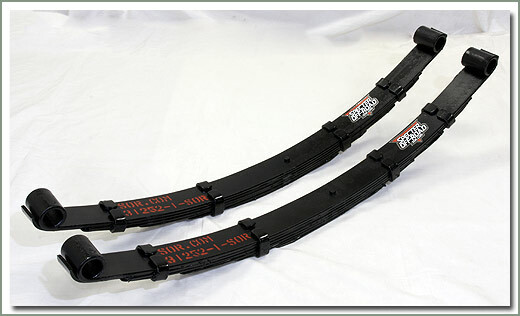 These FJ45 Heavy Duty Leaf Springs will enable you to accommodate larger tires and rims. Maximum wheel travel can be achieved by the use of extended shackles, see page 288. 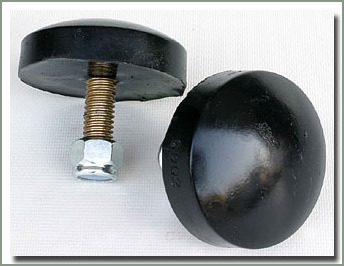 Bushings are not included with springs, be sure to order separately see page 289 for bushing listings. See page 286 for extended shock listings. Springs are sold each. 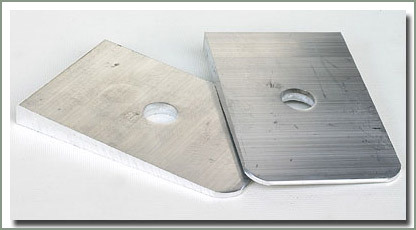 Specter Off-Road now offers a Heavy Duty Leaf Spring for your Cruiser Wagon. 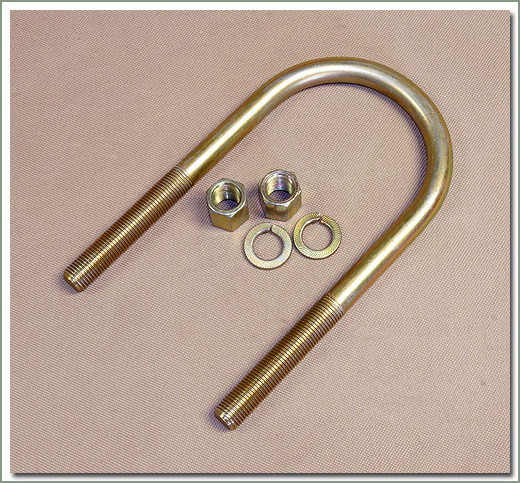 Specter has teamed up with one of the major spring manufacturers in Australia. 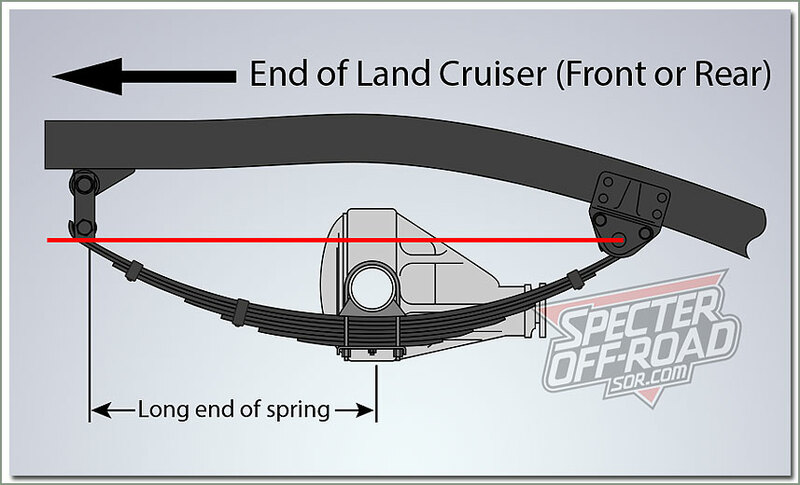 Specter's Suspension systems features high quality shot peened steel, increased leaf spring thickness, and extra leafs for added weight capacity. 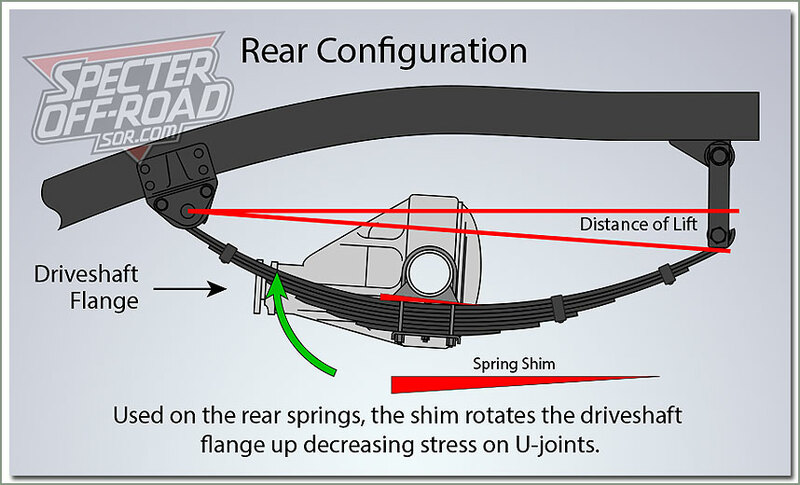 These springs have a higher spring rate for reduced stress and durability. 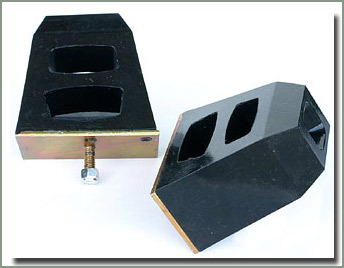 These Heavy Duty Leaf Springs will improve handling, load carrying, and ride quality.These FJ55 Heavy Duty Leaf Springs offer a 2 inch - 2 1/2 inch lift using stock shackles. 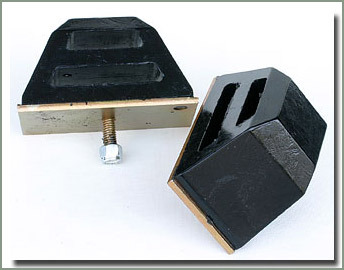 With the addition of extended shackles, the lift can be as great as 4 inches. 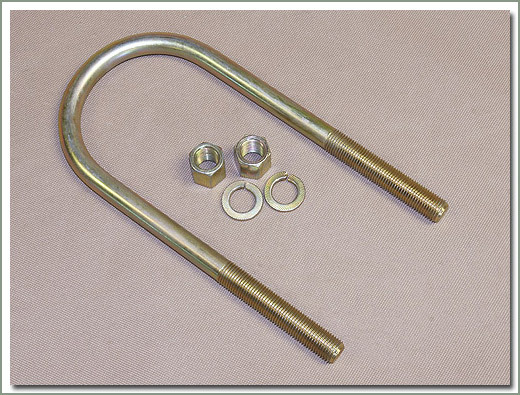 These springs have stock diameter bushing eyelets and large 3/8 inch center pins. 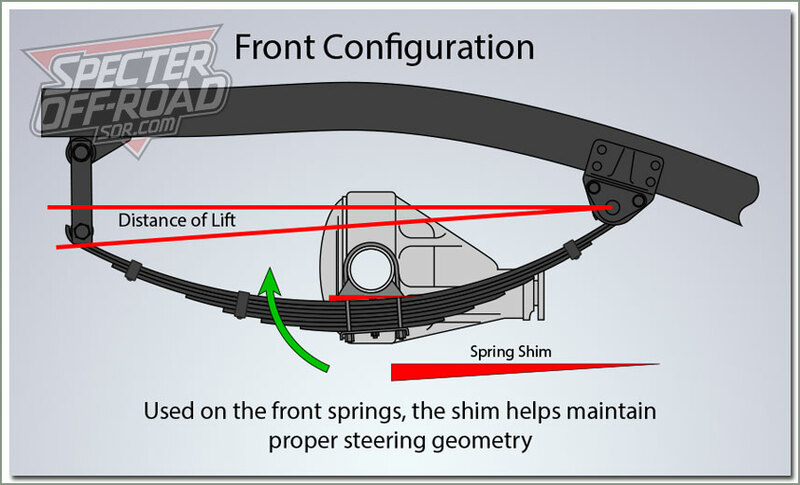 The Front FJ55 Heavy Duty Leaf Springs feature six multi leafs per stack. 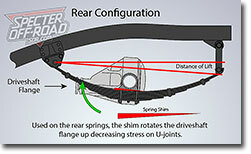 The Rear FJ55 Heavy Duty Leaf Springs feature seven multi leafs per stack. 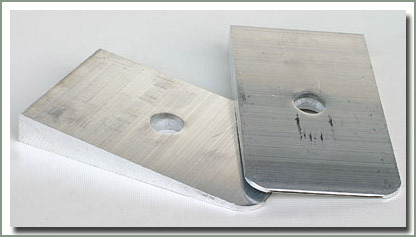 Using these Heavy Duty Leaf Springs will enable you to accommodate larger tires and rims. 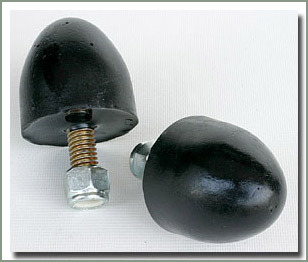 Maximum wheel travel can be achieved by the use of extended shackles, see page 288. 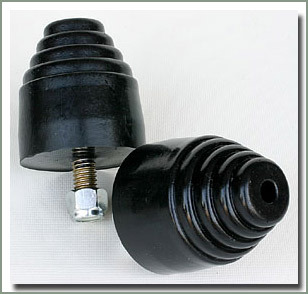 Bushings are not included with springs, be sure to order separately see page 289 for bushing listings. See page 286 for extended shock listings. Springs are sold each. 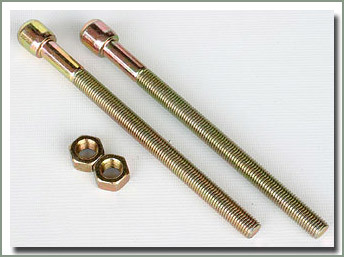 Cad plated U-Bolts come with installation hardware in the size you need for your application. Sold each.